Finance Minister Pierre Moscovici says French austerity measures are at an end, instead opting for growth. This further complicates the strained relationship between the eurozone’s two largest economies. “We’re witnessing the end of the dogma of austerity,” Moscovici told Europe 1 radio on Sunday. The comments followed German Finance Minister Wolfgang Schaeuble’s offer to provide flexibility on deficit cutting, pushing France closer to austerity measures it doesn’t want to implement. The remarks also coincided with as tens of thousands of far-left French protesters who took to the streets on Sunday to mark President Francois Hollande’s first year in office. Economic conditions have only worsened under Hollande and France has slipped deeper into recession and unemployment has hit a record-high of 10 percent. 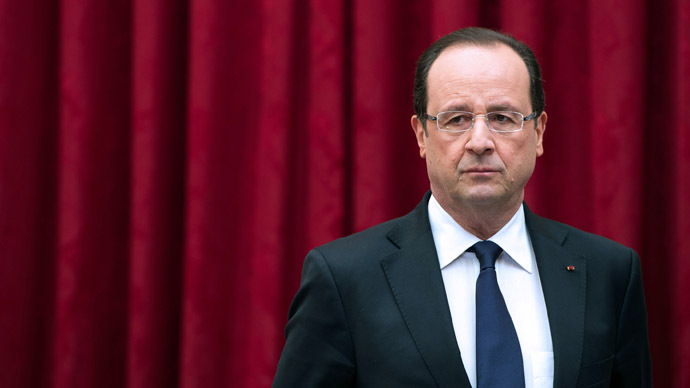 President Hollande was elected on a promise to end austerity and has repeatedly complied with Germany’s austerity measures despite complaints from the French people. 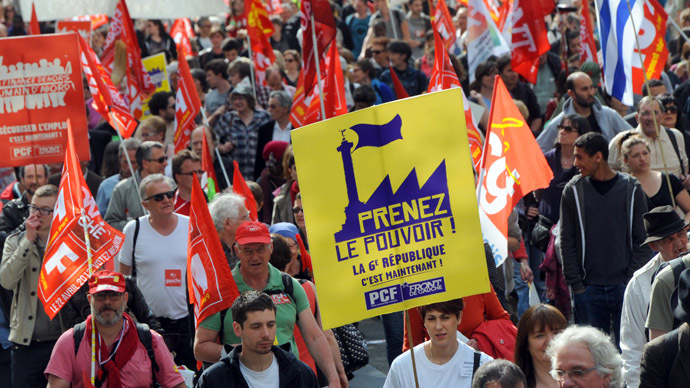 France, the eurozone's second largest economy, showed signs of recovery in the first quarter of 2013, and the EU Commission predicted an overall 1% contraction in 2013. In comparison, the 17 countries in the eurozone contracted by 0.6% in 2012. The EU has targeted lower budget deficit of all 17 member states, and France has two years to reach the 3% GDP ceiling, down from its 4.8% mark in 2012. The French government plans to achieve the rate by mid-2014. President Hollande and France have been tiptoeing around Germany’s call for austerity, stirring a ‘friendly tension’ instead of direct opposition to Chancellor Merkel’s agenda. Hollande has not continued the legacy of ‘Merkozy’, a warm and public alliance between the German Chancellor and predecessor, Nicolas Sarkozy. France is in a difficult position: either continue its power alliance with Germany and unpopular support for austerity, or break with Germany and instead align itself with Europe’s troubled ‘south’ – Italy and Spain. Austerity is needed, but highly unpopular in France, so Chancellor Merkel provides a convenient scapegoat for government officials. The eurozone Composite PMI, which measures business activity and is an indicator of the economic climate, isn’t encouraging for either France or Germany. April’s figures have signalled a contraction in manufacturing as well as decline in business activity. The numbers missed the 50-level benchmark, between growth and contraction. In March the level was at 46.5, and it edged up to 46.9 in April, still shy of the ‘growth’ threshold. The purchasing managers indexes (PMIs) also showed that Germany is now suffering a contraction in business activity that has long dogged France, Italy and Spain. 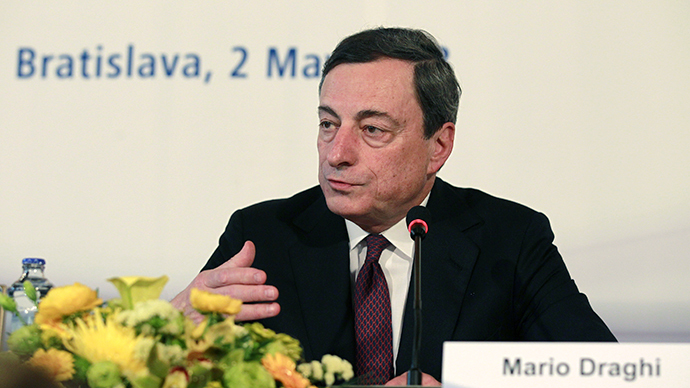 In a drastic, but expected move on Thursday, the European Central Bank cut its key interest rate from 0.75% to 0.5%, a clear indication that the crisis is deepening, and not improving. The rate determines the cost of over €850 billion in ECB outstanding loans. In theory the lower rate will bring relief to southern European borrowers, but the lowered rate is actually likely to be more favorable to Germany’s economy, as it will only increase the interest rates small businesses will have to pay on loans. Small businesses in Spain, Italy and Portugal paid much higher rates for loans than their German counterparts, according to ECB’s January, February, and March monthly reports.